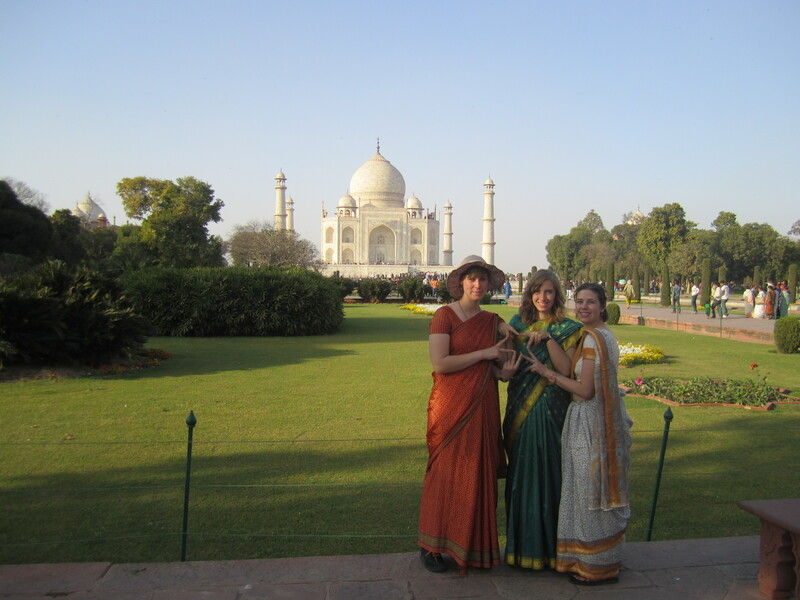 For the next leg of our Pacrim adventure we took a one week tour of Northern India. It was a crazy week, and we spent at most two nights in each place, but it was really cool. 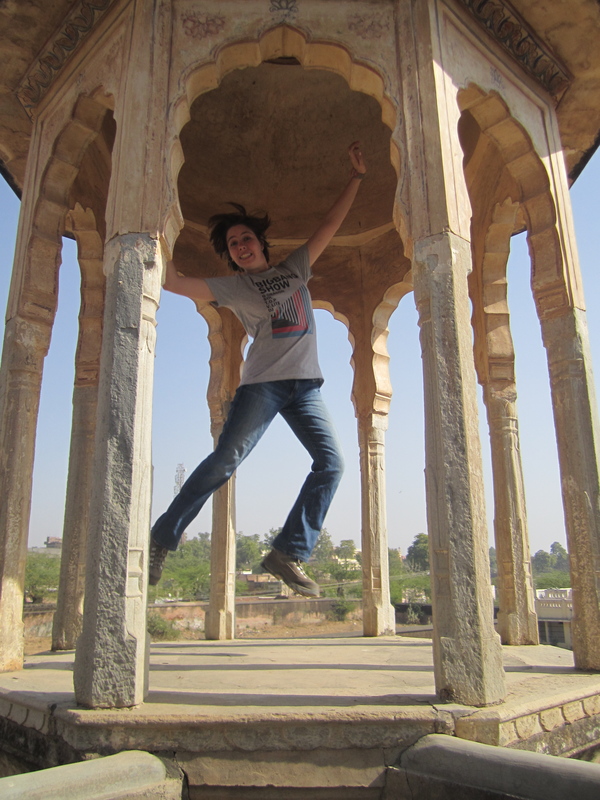 First up was Jaipur, the Pink City. 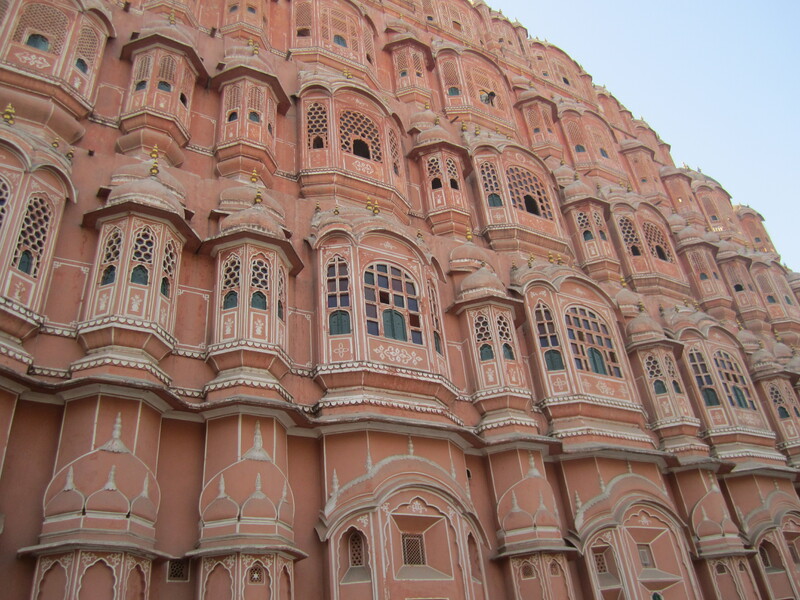 My favorite thing about Jaipur was, naturally, the fact that one day the maharaja decided he wanted his whole city to be pink and everyone had to comply. 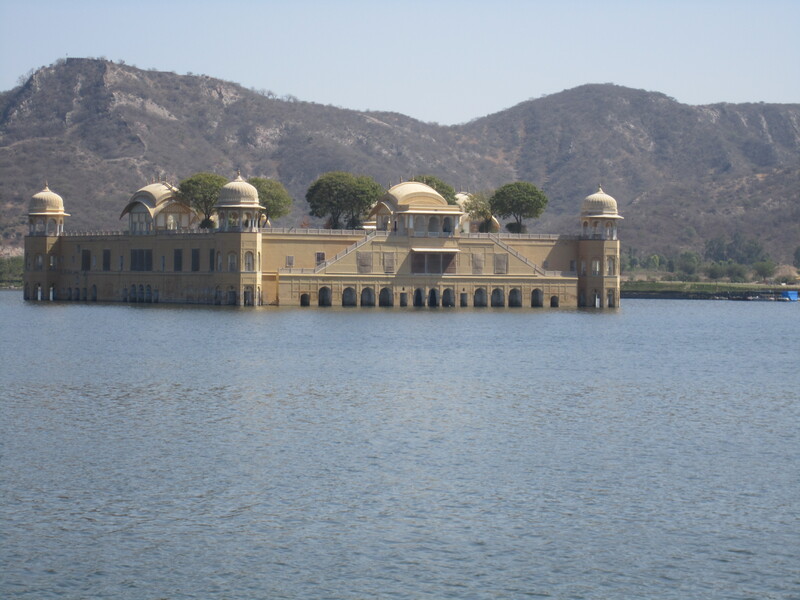 We spent two nights here and toured the Amber fort and the Pink Palace which were both very interesting. 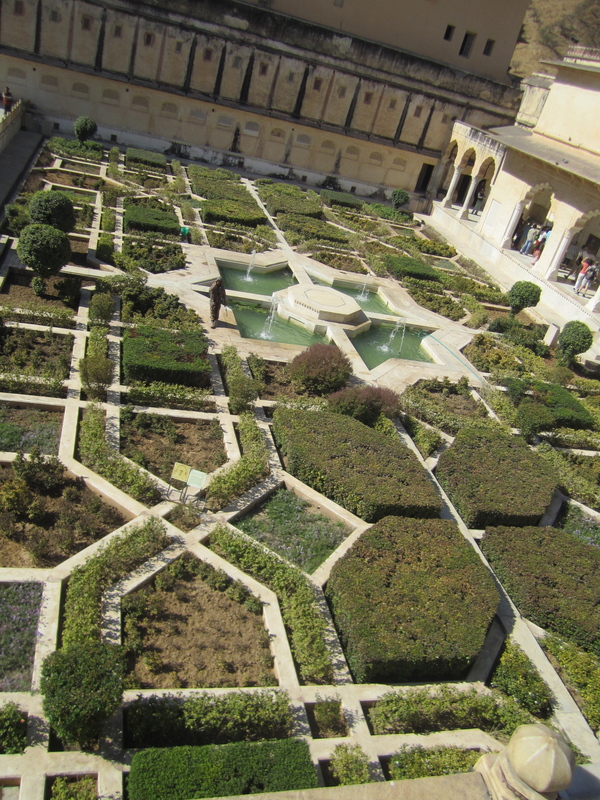 The Indian version of Versailles' hall of mirrors? Equally impressive. On the first day I saw the Pink Palace, which had a special room filled with the royal clothing, my favorite! It was so beautifully intricate. Afterward I wandered around with Lisa and Aleisha, our wonderful trip staff, and we walked by a man with a camera from the 1800s taking photos for tourists. Naturally we had our picture taken, and the man showed us the process of how pictures used to be developed. Very cool! The next day after the Amber Fort we wandered into a block printing museum. There were printed textiles on display and a man was giving a demonstration of how they carved the blocks. 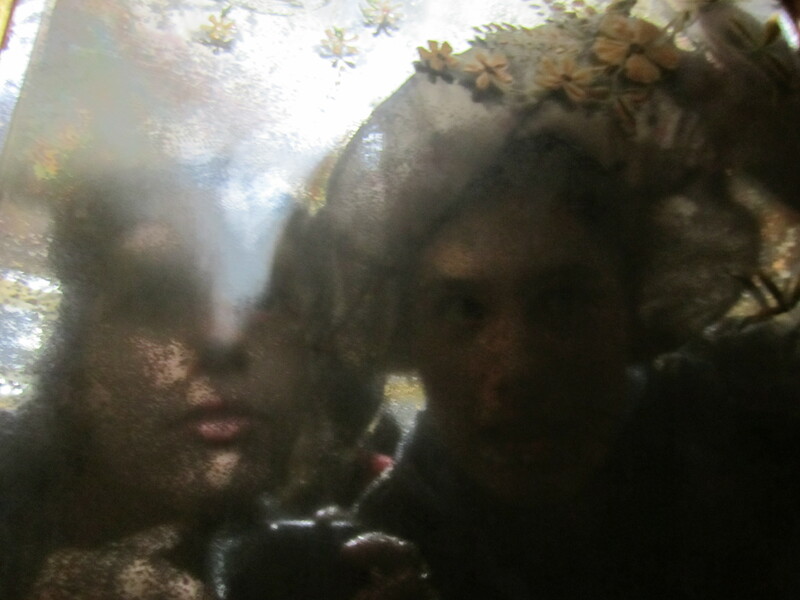 It was really beautiful and amazing to see, and it was probably one of my favorite afternoons of the whole year. Sadly I wasn’t allowed to take pictures inside the museum, but everyone will see the gift shop goodies when I get home. After Jaipur we drove to an Eco-lodge where we spent another two nights. It was a really nice place to stay, and during the day we toured the nearby village which was known for a unique style of architecture. 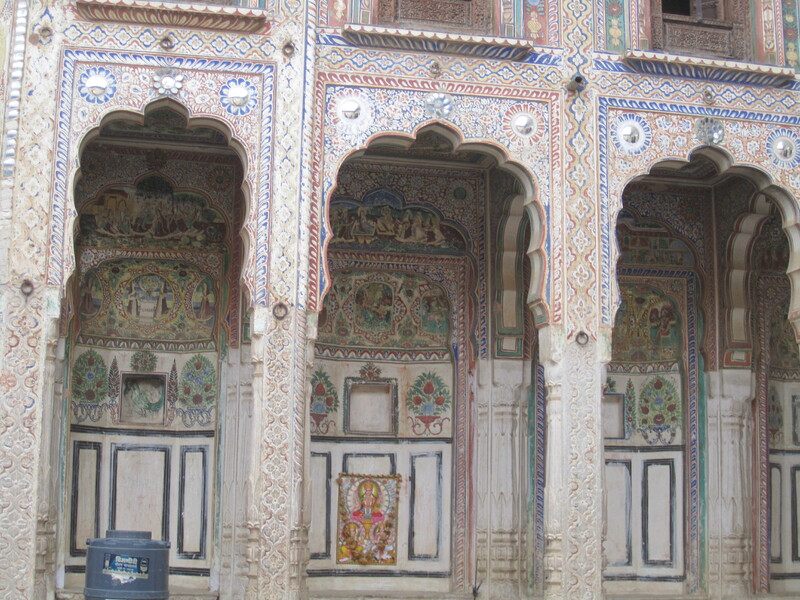 These buildings, known as Havelis, were homes covered in intricate paintings. No bit of wall or ceiling was left undecorated. They were amazing to see. Our second day at the eco-lodge we signed up for art demonstrations. some people looked at traditional cloth dying, some did wood carving, and I did resin bangle-making. Two artisans came to the lodge and demonstrated how bangles were made. It was very interesting to watch. First they take a stick of resin (which is a tree product, sort of like sap) and heat it up. They have colored sticks of resin as well. They apply the color to the original stick and twist the resin to create designs. They then mold this colorful piece into the approximate shape of a bangle and put a metal ring in the middle to hold its shape. They then let the bangle cool, and it’s ready to wear! We all chose our favorite colors and they made us each several bangles. So cool! The next night was spent at a very sketchy hotel, and in the morning most people took bikes around a bird sanctuary. I stayed up late writing my thesis draft, but I wasn’t too upset about it. I hadn’t planned on biking at 6am anyway. 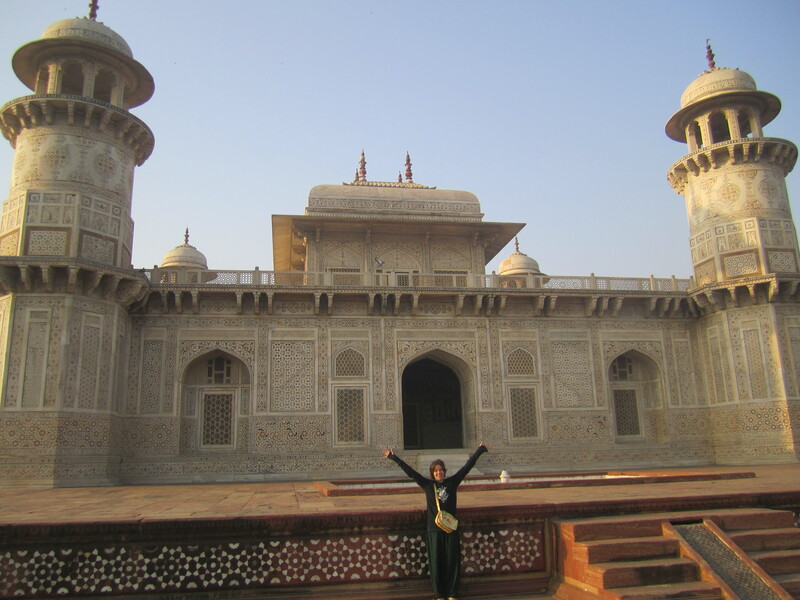 after breakfast we hopped back on the bus and drove to Agra to see……. I know it looks photoshoped, but I swear I was there! 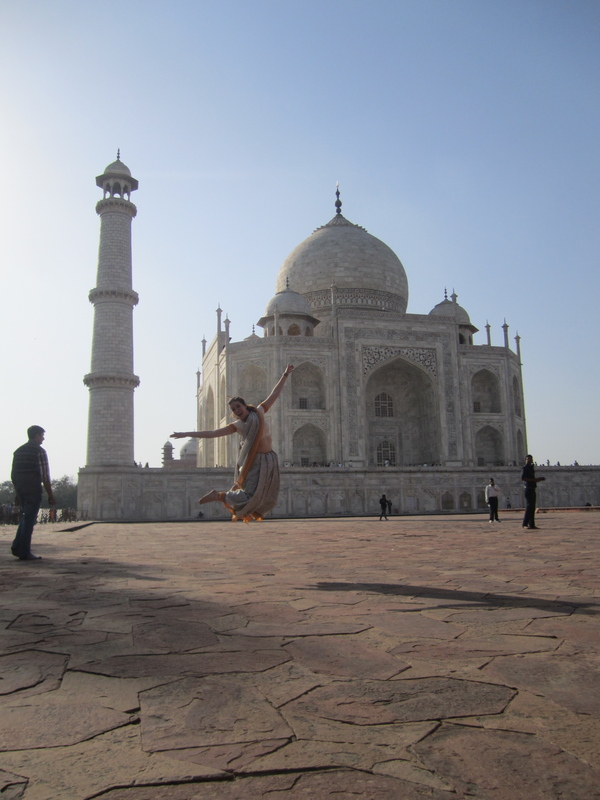 The Taj Mahal! Yes, we finally saw the iconic monument, and it didn’t disappoint. The Taj is gorgeous, inside and out. Most of us dressed up in Sarees for the occasion, and I have never had so many people ask for pictures with me! We were dodging Indian tourists left and right, but we had a good time. Naturally, I had to jump. Luisa, Annin and I are all going to be housemates next year. We figured we needed a photo to hang in our new home. 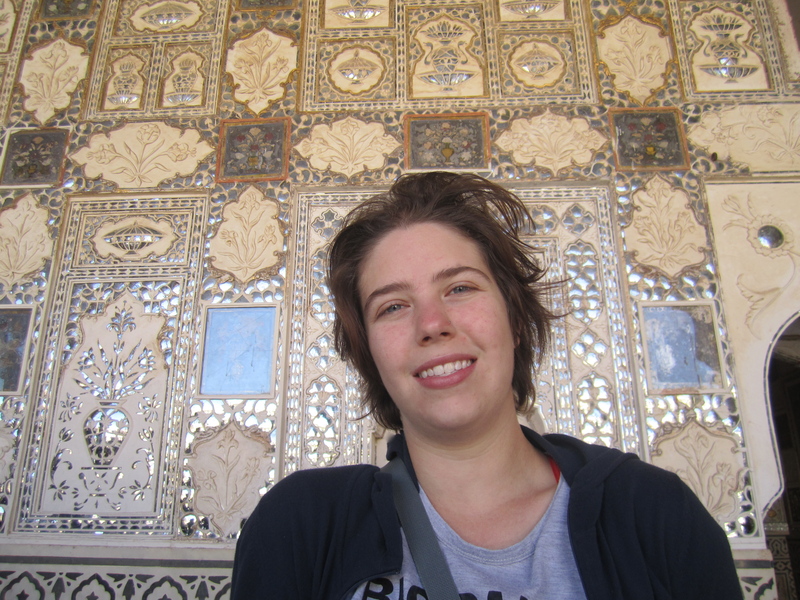 The next day, before we ended the tour, I took an optional early-morning trip to another Agra monument nicknamed the “baby taj”. 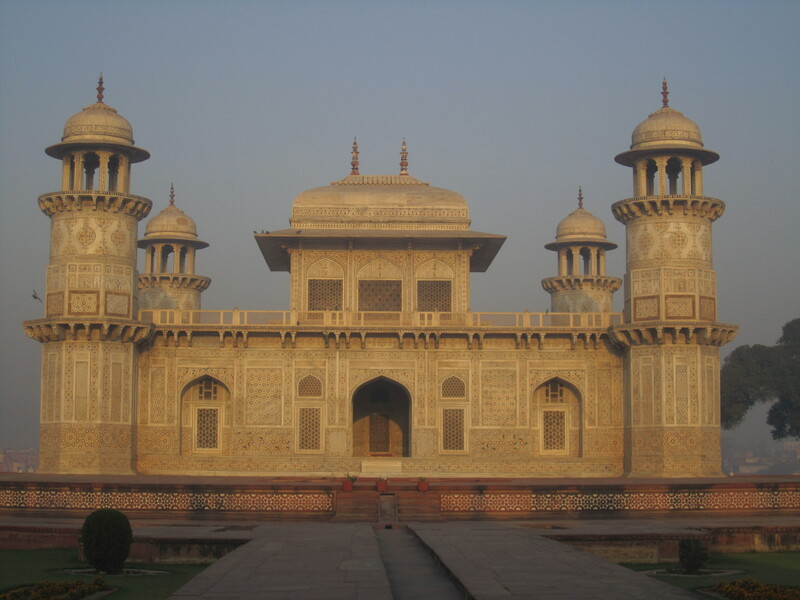 This is due to the fact that the Taj Mahal was based off of this much smaller mausoleum of another memeber of the royal family. What it lacks in size the baby taj certainly makes up for in style. Much like the havelis, the outside of this monument is positively covered in intricate decorations. What’s most impressive about this is the fact that they are all marble inlays, a process that is both precise, time consuming, and labor intensive. 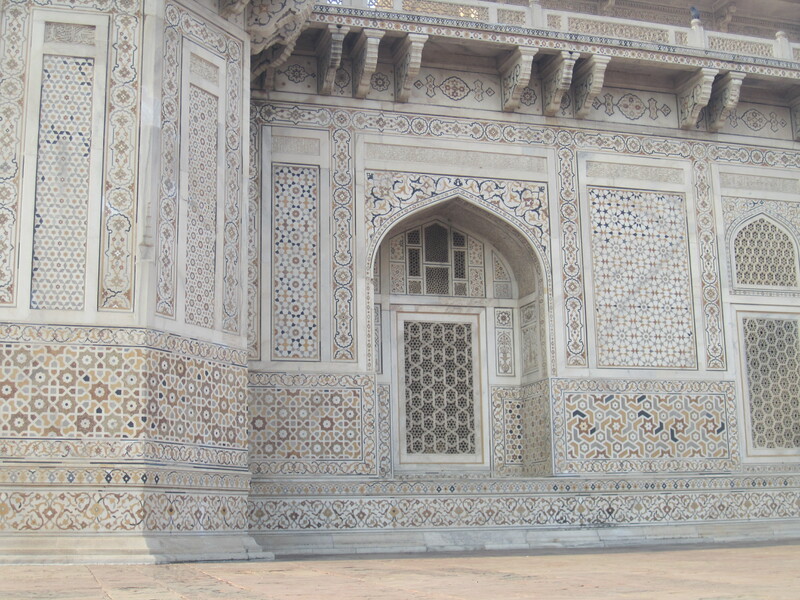 The interior is painted, unlike the Taj Mahal, but I think I liked the baby taj better. Afterward we drove to Delhi where we caught our train to Dharamsala. But that’s a story for next time. Sorry it’s been so long since my last update. 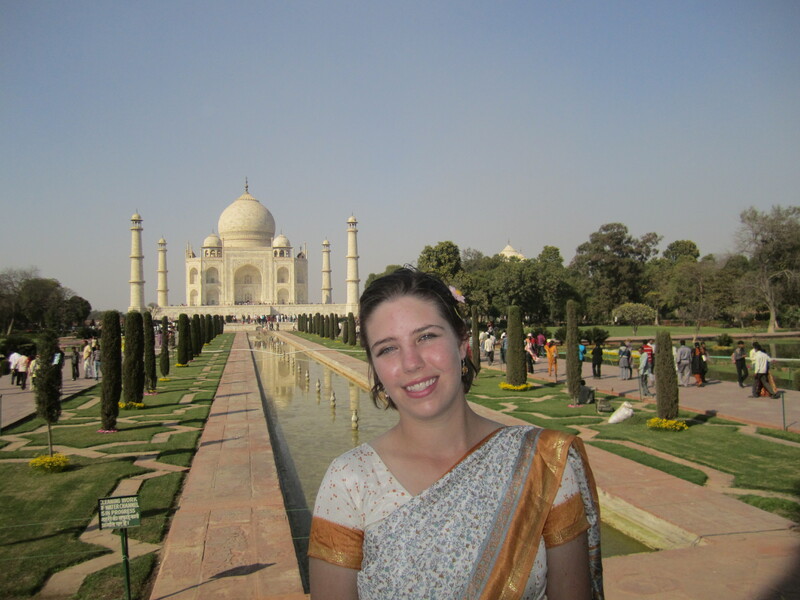 I’ve been traveling around India and I am now on Spring Break! Rather than try and fit everything I’ve done into one post, I’ll separate them out a bit by location. 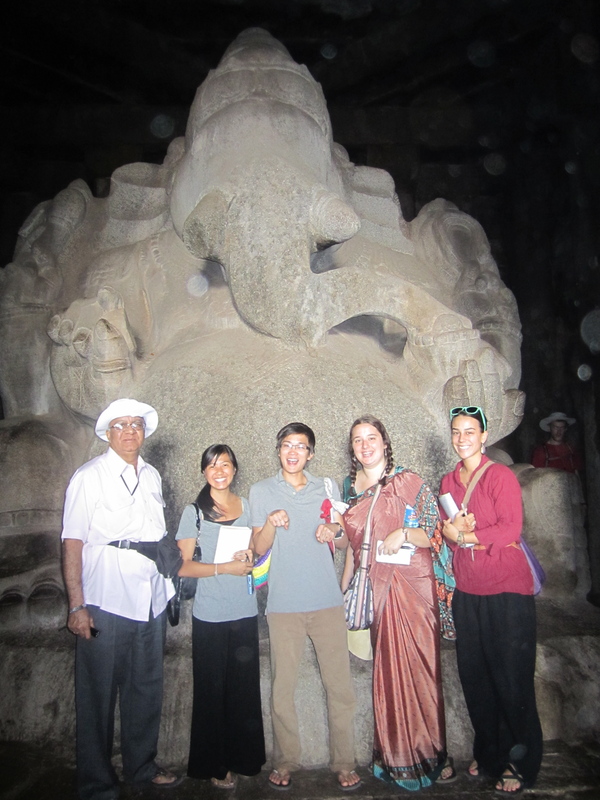 After our time in Mysore we traveled to the ancient city of Vijayanagara to finish up our art history class. 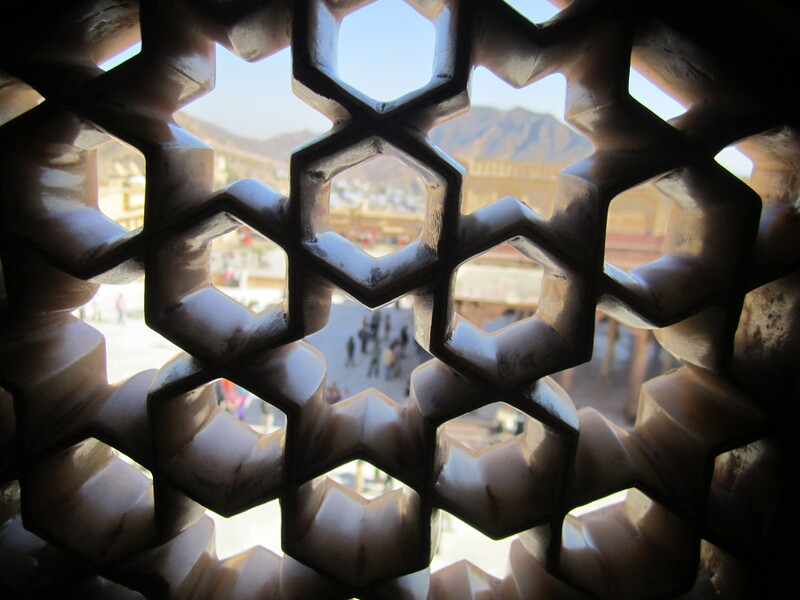 This city had a number of impressive temples and royal structures which were very interesting. It was also very hot, and spending half the day wandering around in the sun made us all incredibly tired and a tiny bit irritable. Nonetheless, it was an interesting few days. Getting there proved to be the hardest part. 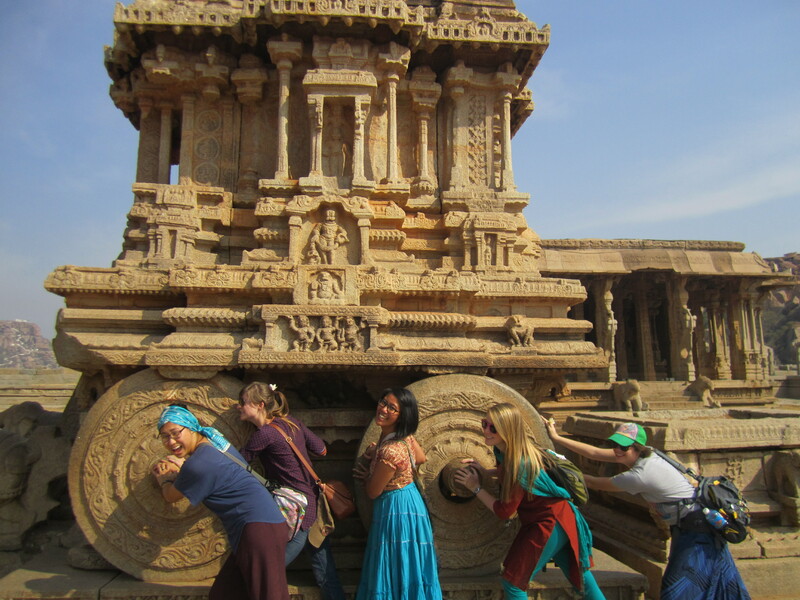 We had originally planned to take a train from Mysore to Bangalore, then Bangalore to Hampi (also Vijayanagara or Hospet. This place had many names) but upon arrival in Bangalore our professor was confused and we waited for our train on the wrong platform. We missed our train and for a while we thought we’d have to try and force our way on a different train without having any tickets and we were all very tired and stressed. Luckily our trip leaders decided not to do this, and we spent the night in a hotel instead. The next day we hired a bus since the trains were all full, and it was one of the most frightening rides of my life. The bus driver wanted to make it to Hampi and back in one day, and he drove like a madman to do it. And it was a bit wild, even by Indian standards. Either way, we made it to our destination in one piece, so all is well. 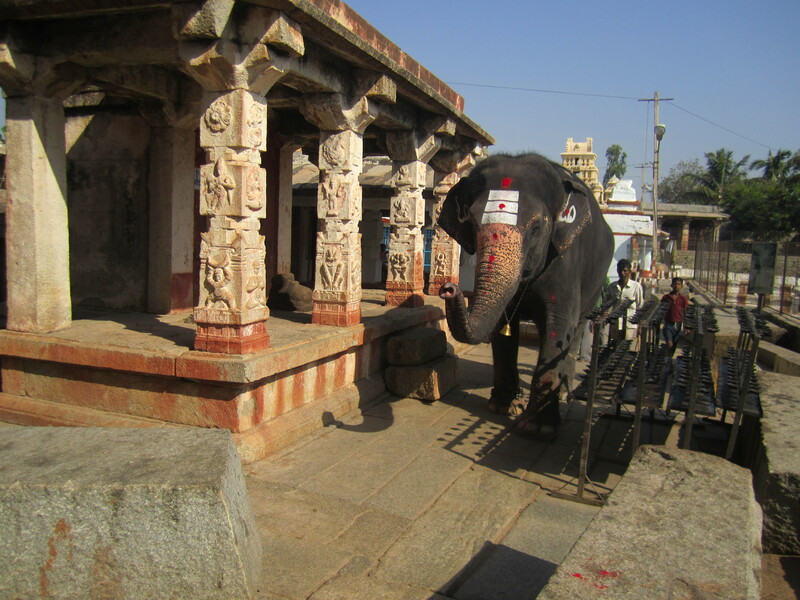 The sacred Elephant of one of the temples. I gave him 10 Rupees and he blessed me by placing his trunk on my head. It was an enlightening experience. 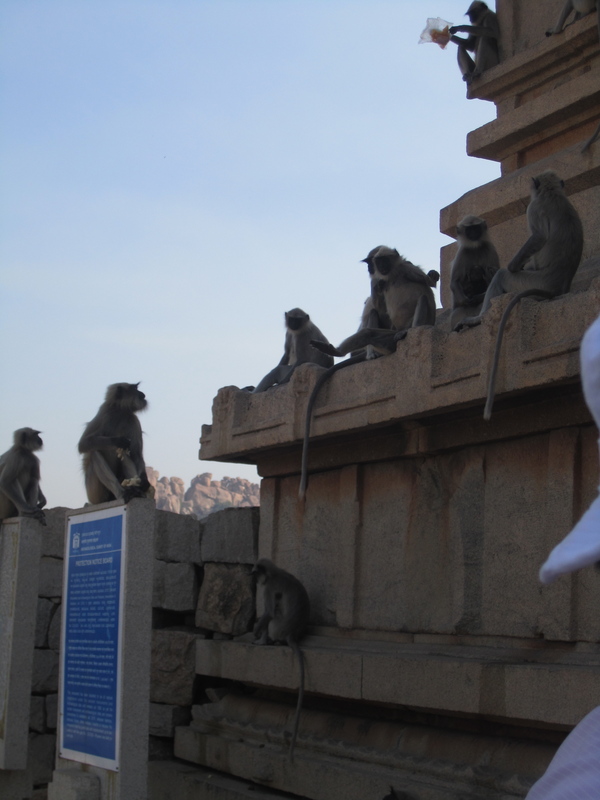 Besides seeing all the cool ruins, our time in Hampi was pretty uneventful. Two pacrim alums came to visit us, and I discovered the hotel gift shop had nice jewelry. It was a fun few days, and we were thrilled to wrap up our art history class, which had previously been known as the class-that-never-ends. One of the most famous monuments in India, the wheels of the chariot were once able to move, but time has left them immobile. We tried giving them a push, but to no luck. 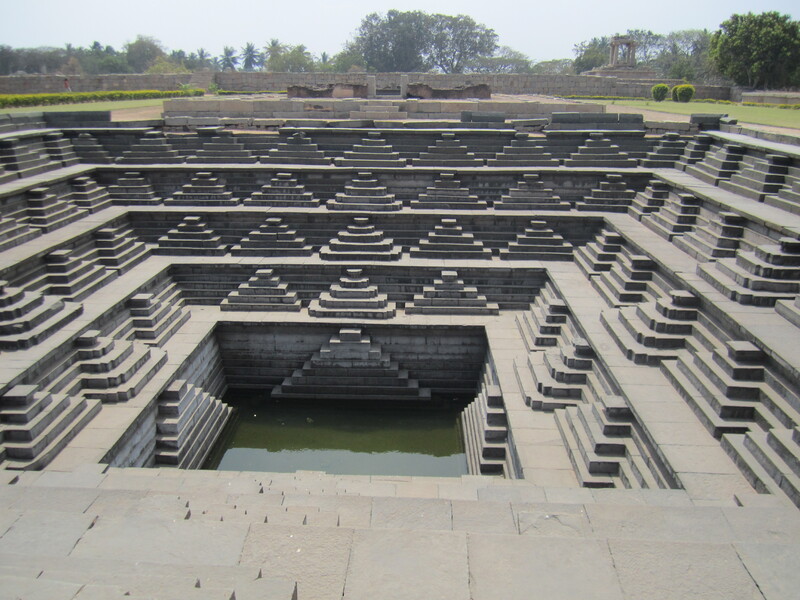 An ancient ceremonial water tank. One of my favorite parts of the tour. After our time in Hampi we went to Rato, a Tibetan Buddhist monastery in Sourthern India. I don’t have any pictures from this time, but it has been one of my favorite places of the year because it was quiet and relaxing. We lived in the monks’ dormitories and studied Buddhism, and our classes occasionally included lectures from significant Buddhist monks or lamas (Lama is the word for teacher, it is the same as guru). The monks were all very nice, and while I still am not enamored with the religion, I very much like the people who practice it. While at Rato I mostly worked on my thesis paper and took some time to relax, which was good because the next portion of our trip was crazy. But I’ll get to that in the next post.